Be the first to hear about their new releases and deals. Download the Booksprout app and search for Jeffrey Batchelder today! An avid reader and writer of horror, paranormal fantasy, dark fantasy and paranormal thrillers. 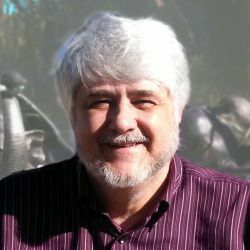 Jeff is a professional writer with over 10 books written and co-written with various authors in the non-fiction genres. With over 50 book outlines in the fiction genres, he has decided to begin submitting them to the world.